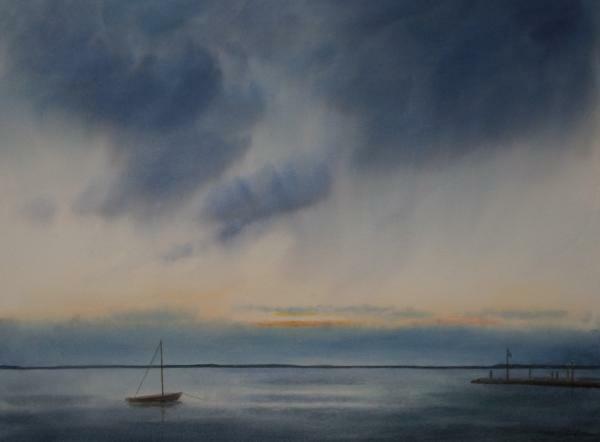 Elizabeth Ivers is inspired by the delicate qualities of light and atmosphere, the expansive sky, and the subtle relationships of color in the landscape. She lives on the isthmus between Lake Monona and Lake Mendota, and is often drawn to their shores to watch the beauty of the light and the interplay of sky and water. The ever-changing weather is a constant source of inspiration. 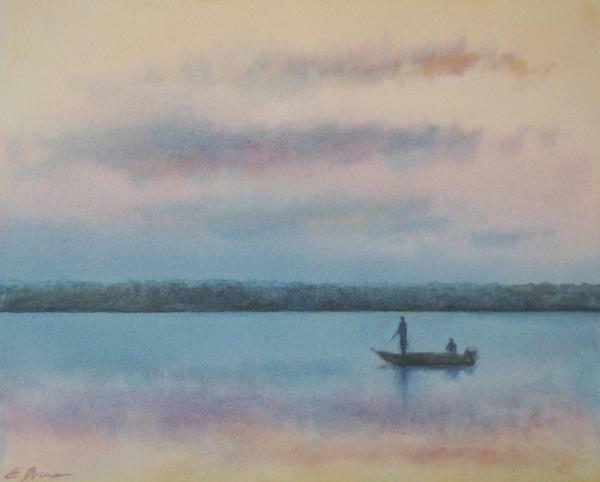 Elizabeth has participated in numerous juried exhibits and solo shows, including Madisons Artful Women show, the Watercolor Wyoming National exhibition, and the Racine Art Museums Watercolor Wisconsin show. 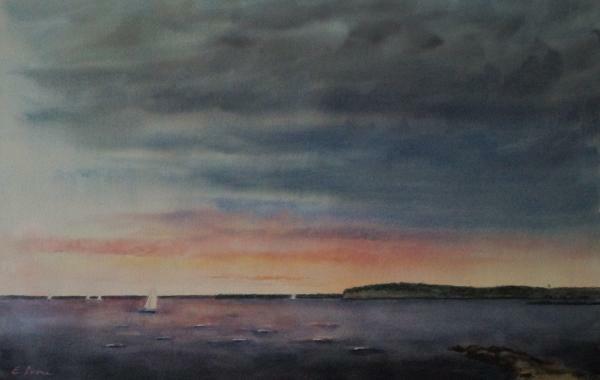 She is a member of the Wisconsin Watercolor Society and the Wisconsin Visual Artists, and her work is held in private and public collections, including the University of Wisconsin Hospital and the Racine Art Museum.